Width 35-36", 44-45", 58-60", 72", 108"
Linen is totally biodegradable and recyclable. Mother Earth loves this fabric choice, every time. The fabric’s cloth feels fresh and cool, right. That is because it can absorb up to 20% of its own weight in moisture while still feeling dry to the touch. When you wear a piece of linen clothing or sleep in linen sheets, it contacts your skin the nodes along the length of the fibres. These absorb the perspiration. Then they swell and release the moisture to the outside air. Hence, it creates a fabric that is self-cooled because of evaporation. Linen is also virtually lint free, non-static, non-allergenic and naturally insect-repellent. In addition, it gives UV protection. We “Maheshwari Textile” founded in the year 2012 are a renowned firm that is engaged in Manufacturing and Exporting of Cotton Fabric, Denim Fabric, Shirting Fabric, Poplin Fabric, Greige Fabric, Dyed Fabric, Rayon Fabric, Corduroy Fabric, Linen Fabric, etc. We are specialized in treated fabrics such as water resistant, Mildew/Rot resistant, oil, wax & flame resistant. Our products are woven on Imported Italian looms and are made using the best quality raw material. We have a strict quality control and adhere to US point 4. Moreover, our products are manufactured in compliance with international quality standards such as Reach and can be availed by the customers in varied widths, grades specifications. Our products are acknowledged for their features such as colorfastness to washing and rubbing, resistant to tear and excellent finish. 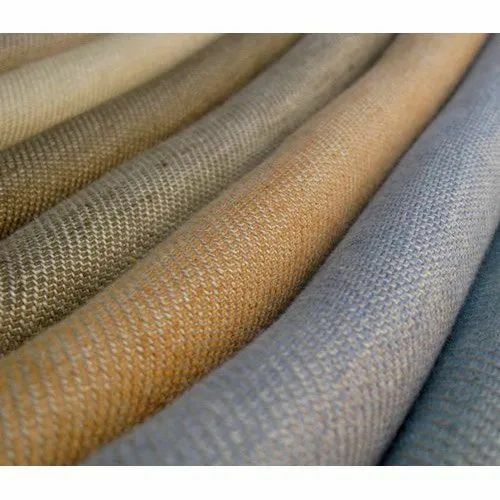 We have a wide and well functional infrastructural unit that is situated at Ahmedabad (Gujarat, India) and helps us in weaving a remarkable collection of fabrics as per the global set standards. We are a Sole Proprietorship company that is managed under the headship of "Mr. Pankaj Rathi" (Proprietor) and have achieved a significant position in this sector.